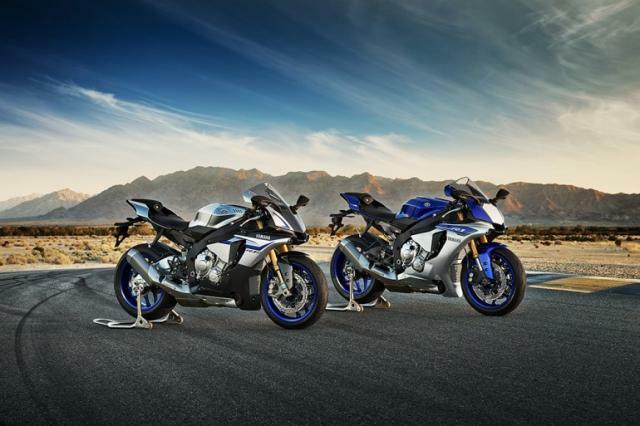 YAMAHA has just confirmed the price of the 2015 YZF-R1 at £14,999 and the higher-spec YZF-R1M at £18,999. The R1 will be in dealers from March next year. The R1M - a track-focused variant of the R1 with electronic Ohlins suspension, data-logging and smartphone connectivity - requires customers to fill out an online form on Yamaha’s website. After filling it out, you'll get an email which you must print out and take to your nearest Yamaha dealer within 14 days 'to confirm your buying intention'. Delivery of the R1M will take place between January and July 2015. R1M customers will also get to take part in an exclusive ‘Yamaha Racing Experience’, details of which have not been announced. Prices have also been announced for Yamaha's new MT-09 Tracer and YZF-R3.